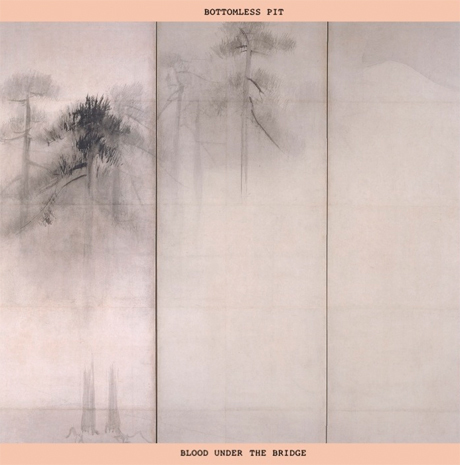 When Silkworm called it quits in 2005, guitarists Andy Cohen and Tim Midgett went on to form underrated indie rock powerhouse Bottomless Pit, with Seam's Chris Manfrin and .22's Brian Orchard. The band turned heads with their fantastic 2008 effort, Hammer of the Gods, and followed it up with the Congress EP that same year. Now, Bottomless Pit have announced a new record will be dropping later this summer. In keeping with their habit of naming releases as if they're a metal band, the new album is called Blood Under the Bridge. According to a press release, "the album explores the awful and thrilling randomness of fate, with a hard fix on the future. Affectionate and brusque, languid and bracing - it is nearly peerless modern postpunk." As always, the new Bottomless Pit will be released by Comedy Minus One. The album will hit physical and digital shelves on August 10, and will be followed by a North American tour. For now, it's U.S.-only, but there are some gaps that could easily accommodate Canadian stops. 7. "Is It A Ditch"